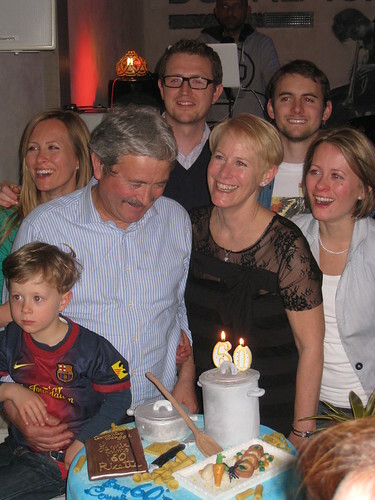 We were due to fly out on Saturday but brought our flight forward when Carole told us about a surprise party for Mino's 60th. 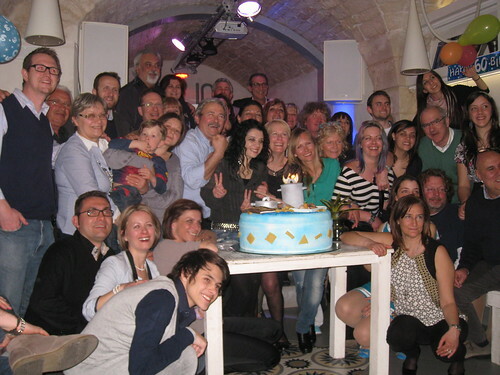 I was doubly pleased to be there as Mino did such a fantastic job for my 60th birthday party in Puglia. Friday it was off to Sotto Le Stelle to inspect the progress. 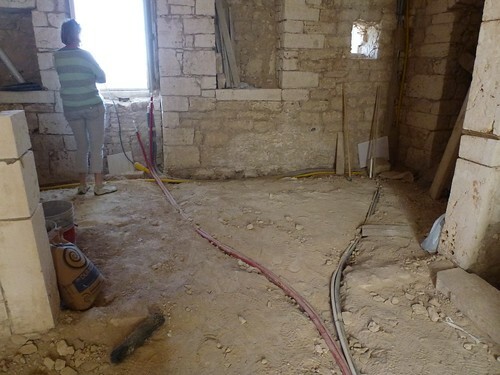 The main progress was all pipework: mains water, hot and cold heating system pipes, waste water, and gas pipes. Not just across the floor but up to the roof where the boiler lives in a newly created niche. English boilers are generally installed indoors, the Italians seem to favour an external wall cupboard. Saverio has also fixed the bathroom door opening to make it symmetrical - what was he thinking to make it otherwise? On the last visit we saw a sign saying "For Rent" on the door to the basement space under the building. Typically Italian it had no name or contact number. 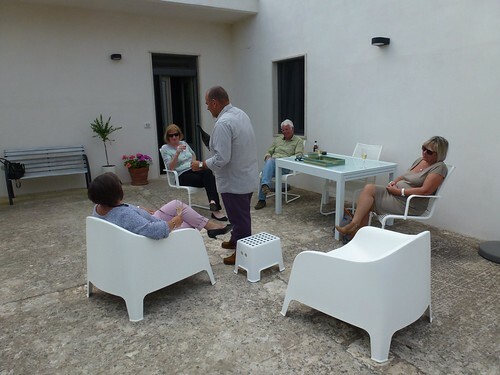 Pietro was able to track down the owner and arranged for us to meet and discuss renting some space. We did not want a car space but just some room for bikes, olive nets, tools, etc. The basement itself had the same vaulting as the apartments above. 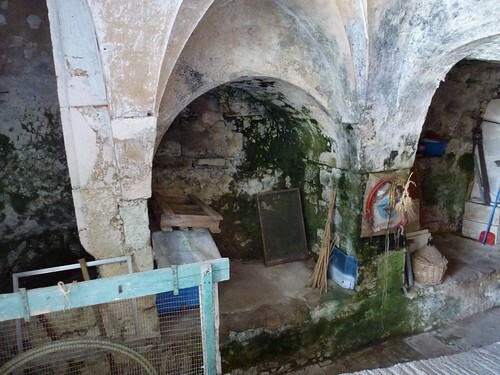 Apparently it used to contain an olive press - the older owner pointed out where the presses used to stand and the circle where the donkey walked round to power the press. 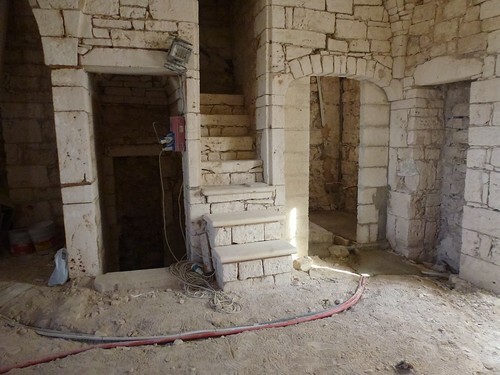 We agreed a price for this niche and moved stuff out of Trullo Azzurro - all part of preparing to let out the whole of the original place once Sotto Le Stelle is ready for us. Sunday was time to meet up with friend for pre-prandial drinks and then off to Osteria Sant'Anna for a serious Sunday meal. 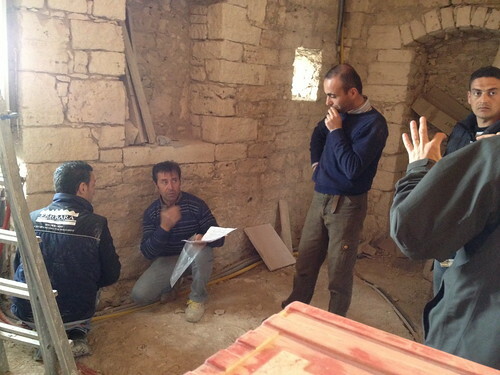 Monday we went back to meet with the electrician to discuss the placement of sockets and lights. He was supposed to have done the work the week before we arrived but he was delayed. It worked out better that way as we were able to make some adjustments to the placements for the better. One of these was the adjustments was emergency lighting which is now an Italian legal requirement. We were able to say "Not there, that is where the cupboard might go". 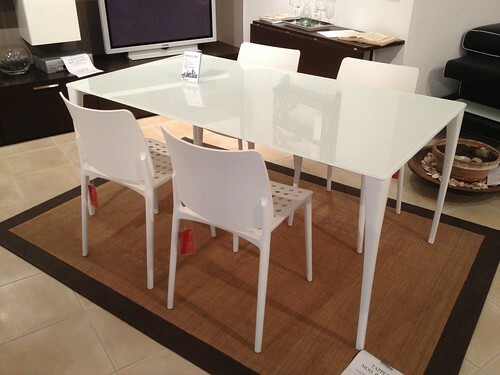 Then it was lots of window shopping to measure up candidate tables, chairs and beds. This table also comes in an extending version and is four times the price of the Ikea equivalent but Mary hankers after this one. A beautiful sunny spring day - such improvement of the last three "brass monkey" events. 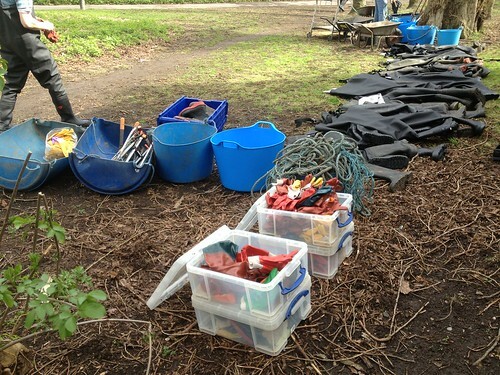 These are the tools of our trade: blue plastic trugs (some muck buckets, some halved chemical barrels), litter pickers, gloves (left and right), grapples and ropes, waders (with steel toe caps and steel shanks), wheelbarrows. Big excitement - loads of brand new waders. So that's four in the water, eight on the bank and twelve on the bridge spectating! The bloke is the wetsuit was pretty cool. First one of those I have seen. He could lay back and float downstream to join the others; he could rummage deeper than we could - unless you want a wader full of Wandle water; very useful addition to the team. On the Monday my fingers always ache from all the gripping of slippery debris. I read that Yehudi Menuhin used to exercise his fingers with a rubber band to strengthen them. No need, all he had to do was come down to King George's Park on a second Sunday and haul junk out of the Wandle. Since our friend Bob retired he spends a lot of time volunteering for local nature organisations around Ringwood. 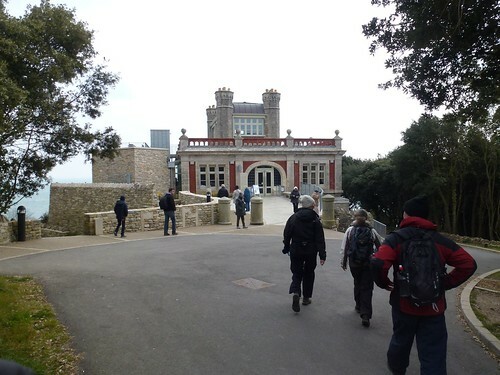 They roped us in for a sponsored walk just across the county border in Dorset: the Dorset Walk for Wildlife 2013. Being keen walkers they signed up for the long, 14 mile, walk - none of that wimpy 7 mile stroll. 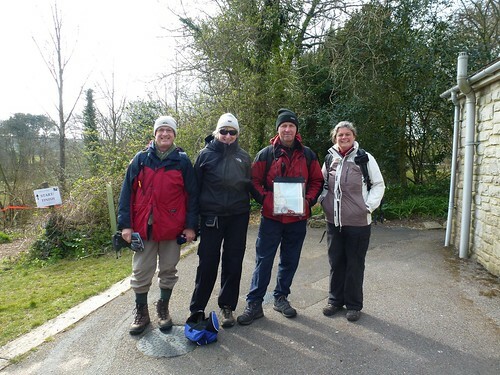 The walk started at Leeson House Field Centre, Langton Matravers. 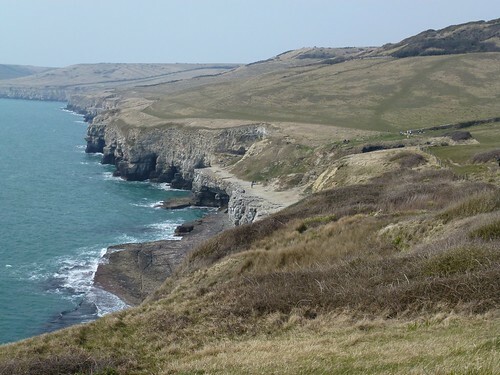 It was a clockwise tour of the Isle of Purbeck heading initially East to Durlston Head and the castle. 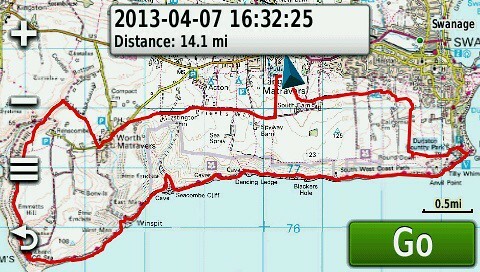 From there we headed West along the coast path. 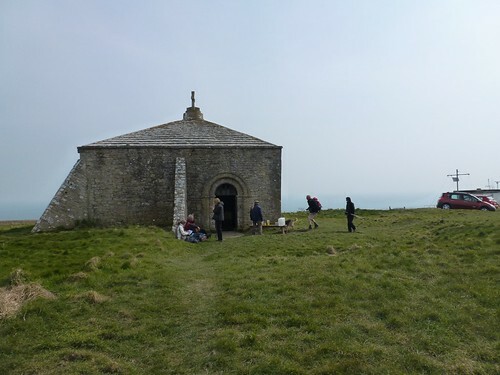 One of the checkpoints was at St Aldhelm's Chapel (over 800 years old) where we had a short lunch stop. Then it was North and East to start the return loop. 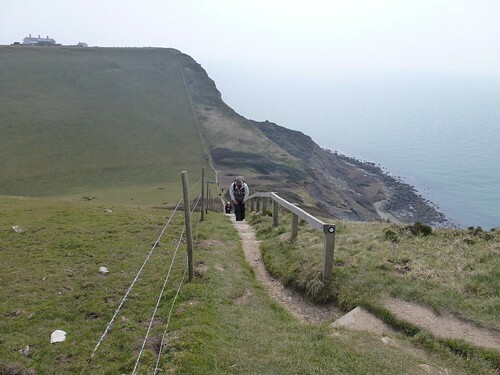 The first time we did this stretch of the South-West Coast Path the joke was, looking at the map, "What do all these brown lines very close together mean?" Of course they mean steep contours and some serious thigh exercise down and back up the V-shaped valley. 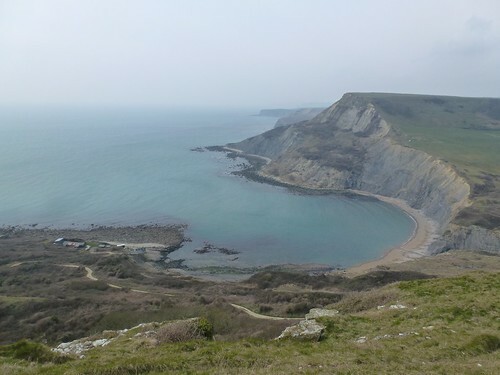 Well over half way round we stopped at The Square and Compass at Worth Matravers for a swift pint then the final couple of miles back to the start point. 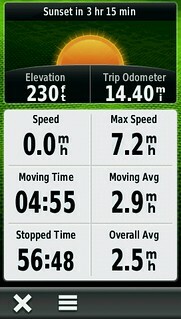 The Garmin cannot agree with itself on the exact distance but it was over 14 miles in just under 5 hours. My heels were complaining the next morning and my calf muscles for the next couple of days.